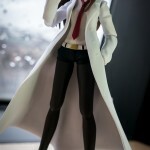 The World Of Ktdata » Blog Archive » Lab Coats are trendy as &%#$. 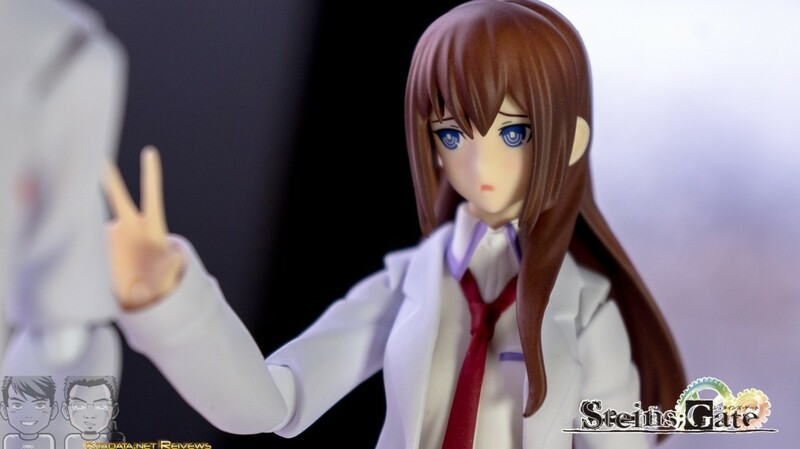 Scientist by day and lab assistant by night Kurisu’s personalty can be summed up to one word, “Tsundere” so with her hard exterier yet if you get past that you’ll see she’s quite shy and this figure emphasis that very well but, I kinda wish they put joints into Kurisu’s lab coat for more dynamic poses, but over all she’s great and the arms to make it look like she can put her hands into her lab coat is a nice touch. 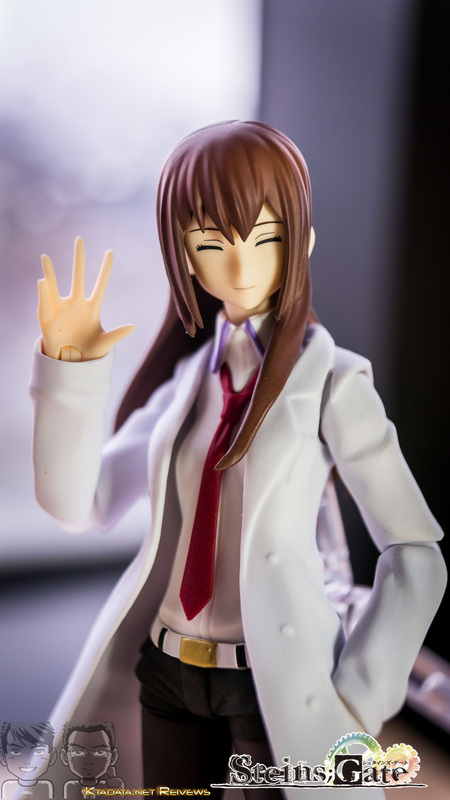 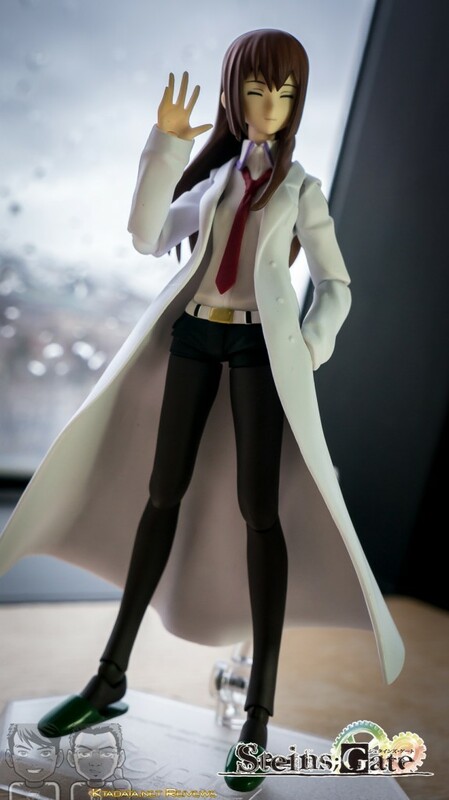 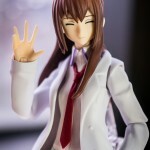 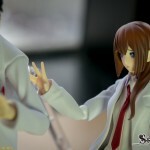 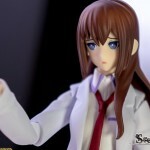 From Kurisu’s previous version Goodsmile Company added not only a stylish lab coat but her embarrassed face plate that gives this figure bonus points. 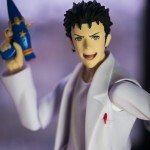 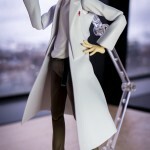 Self proclaimed mad scientist and among the small list of male Figma’s. 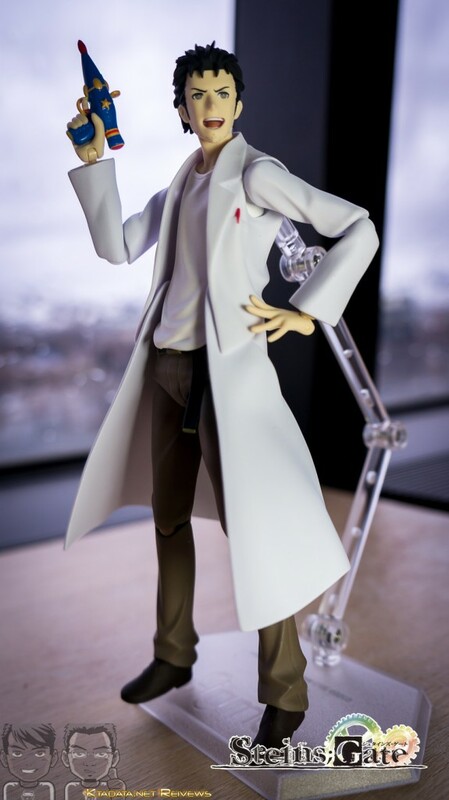 Very well constructed and almost the spitting image from the anime but now you can have your own mad scientist on your desk. 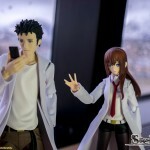 Okabe’s accessories is much different than Kurisu but still comes with Future Gadget #1 . 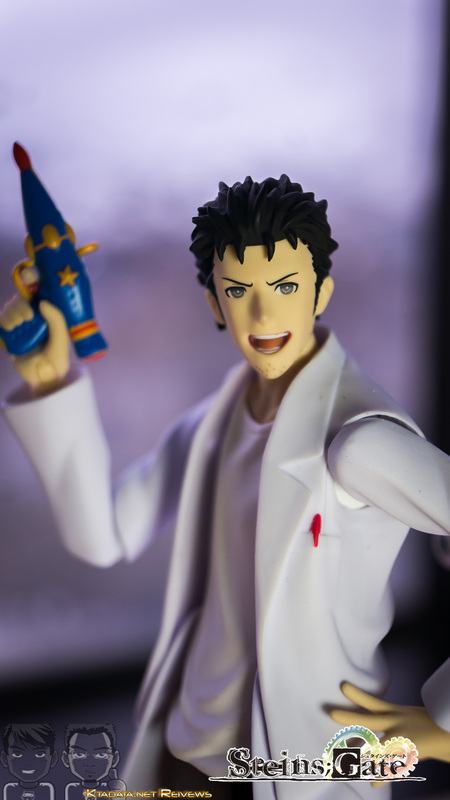 Okabe’s face plates are also very good and can be used in a wide array of ways and with the joints on his lab coat is a good touch. 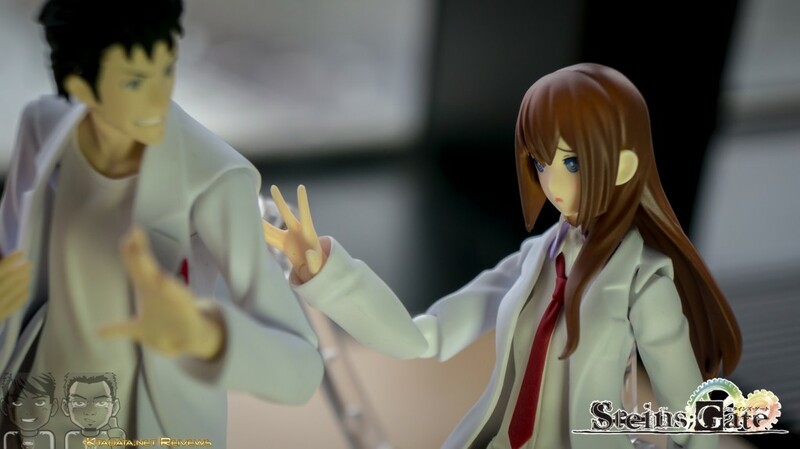 These two Figma’s are a great along but put them together and they become that much better. 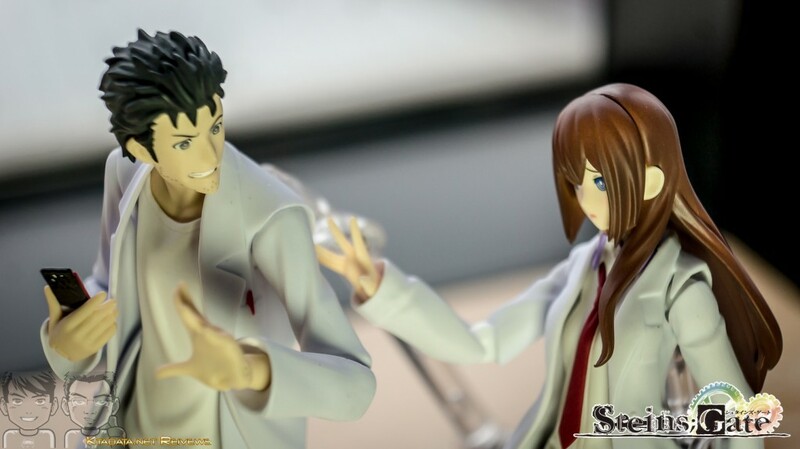 I would recommend that if you get either one you would want to get the other to complete the set, not just because they deserve each other but deep down you know you want them both. 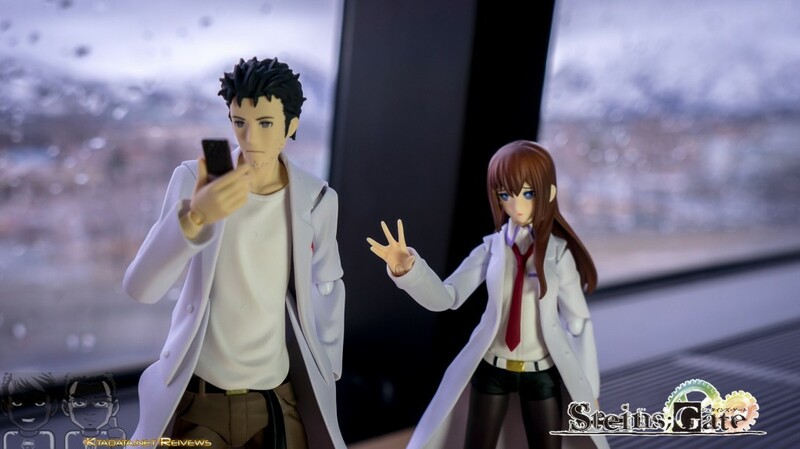 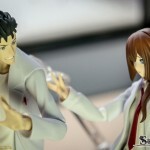 Over all I give both these figures a 4/5 since I wish Okabe could have come with a bit more accessories and Kurisu’s lab coat had joints in it.